Best Value For Your Money – Lenovo Ideapad Y580 Review! The Lenovo Ideapad Y580 offers a blend of gaming power, portability and affordability for serious gamers with a budget below $1,000. It has the raw power to play all the demanding games from medium to high game settings that other gaming laptops costing more can play but at heavier and thicker body. Serious gamers may prefer a large 17-inch plus HD screen on their gaming laptops, but not a few wouldn’t mind getting slightly smaller screen if that means getting one with a more wallet-friendly price. 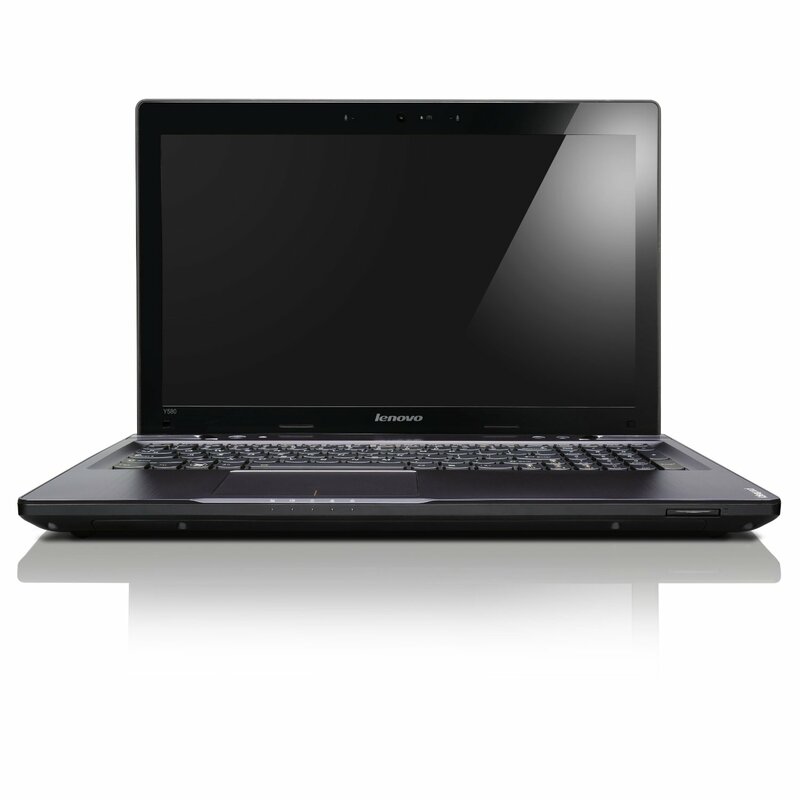 Several sub-$1000 laptops have the muscle to play the most demanding games and the dawn-grey Lenovo Y580 is a portable gaming solution at just $989.. Powered by a 3rd generation Intel Core i7-3630QM with a generous 6MB cache and 6GB DDR3 system RAM, this Lenovo sports a typical 15.6 LED backlit screen with 1366 x 768 HD resolution. With a 1.4-inch profile on a light 6-lb body, this is yet another excellent value laptop that blends power, portability and affordability. The Lenovo Y580 takes its gaming prowess from the NVidia GeForce GTX 660M supported by its 2GB video RAM, making it no less a gaming laptop than similarly powered laptops costing more. The GTX 670M powers many Alienware and Razer Blade laptops as it belongs in the high end GTX 600M family of laptop graphics cards. With just a few exceptions, it can play all the power-hungry 2012 RPG and FSP games at high game settings. The 2013 Crysis 3 gets a seamless 48fps on medium setting, while medium settings will allow you to play the 2012 Hitman: Absolution at 52fps, Max Payne 3 at 58fps, and Alan Wake at 47fps. Ghost Recon: Future Soldier and Max Payne 3, however, will get by at 58fps at a low game settings while the older 2011 Witcher 2: Assassins of Kings will play nicely at 38fps on medium setting. For games less demanding that these, NVidia’s Optimus technology, allows you the option to an switch to a less muscled Intel HD Graphics 4000 that comes integrated with the i7 CPU so you can prolong battery life. Watching HD movies, surfing and doing office productivity tools will likewise do fine with the HD 4000. Bundled with a 32-bit Windows 8 Home edition. To get the weigh down a bit, the keyboard is slightly smaller than standard thanks to an added numeric pad. It can be a hit or miss affair that some people may not like. Battery life is around 3 hours which is typical for most laptops and gamers generally hook their laptops to the power mains while playing. About the only sacrifice a serious but budget-conscious gamer is willing to suffer is a small 15-inch screen for a gaming laptop. Here, the Lenovo Y850 obliges with a performance that can rival most desktop gaming computers but with a level of portability and affordability that has few peers. But that’s just when you’re on the road. You can always connect this to your 42-inch plasma TV at home or friend’s house from its HDMI port and enjoy big screen gaming and movies without any compromises. Get it now at the best price on the market here.